Exciting news! 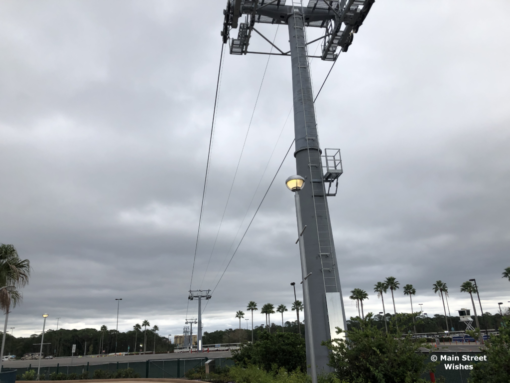 Disney has started testing the Disney Skyliner gondolas, bringing the opening date closer and closer. If you have been to Disney World over the past year then you have seen the Skyliner construction going on, it’s hard to miss. With each new stage it’s bringing guests closer to being able to ride this new transportation system. 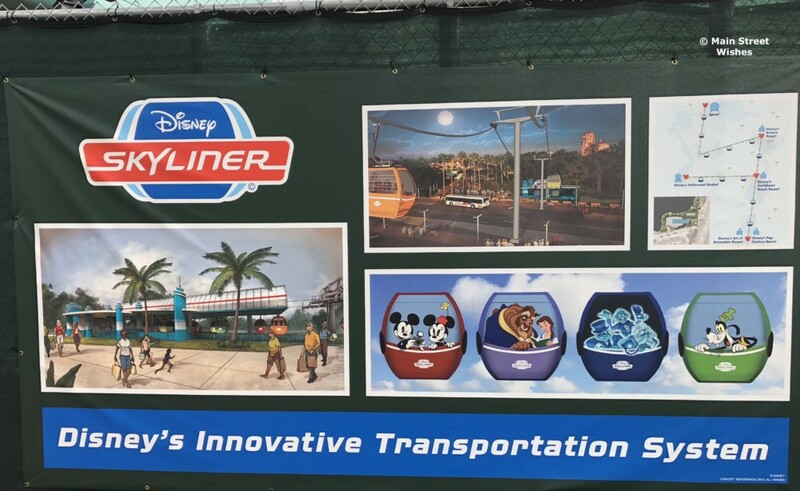 When the Disney Skyliner opens later this year it will connect Hollywood Studios and Epcot to the Art of Animation Resort, Pop Century Resort, Caribbean Beach Resort, and the Riviera Resort (opening later this year). The gondola stations have been visible for some time now and the towers have been up for a while, so it’s been interesting to watch the progress. Check out the video Disney released about the testing of the gondolas. Not only did Disney share a video of the testing, but they included information about the designs on the gondolas. Many of the gondolas will have different Disney characters on them. We will keep you updated as more information is released about this new transportation system. 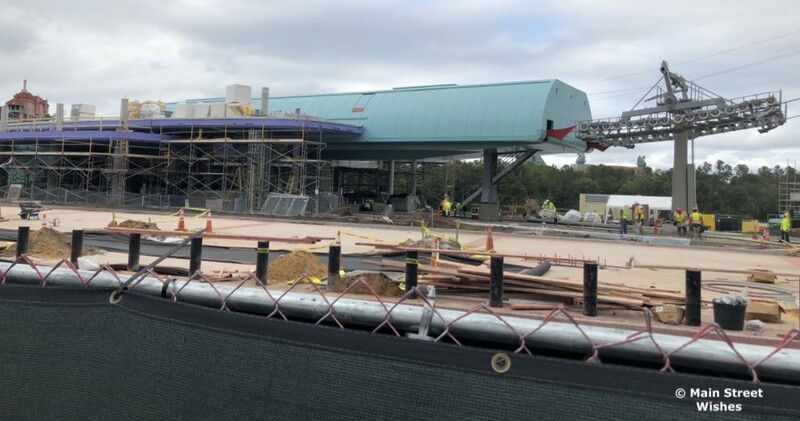 Are you excited to ride the Disney Skyliner when it opens? Hello Liz , just was wondering will the skylines have an air conditioning unit or some type of cooling system for those very hot days in July and August?? Once again thanks for all your info…Disney Dennis . From what I have heard, they will not have air conditioning. The gondolas will rely on cross ventilation and reflective windows (so guests won’t feel direct sunlight). I know they are wheelchair accessible, but I haven’t heard anything definitive about scooters. Other systems similar to this one can accommodate them, so I assume Disney will too, but probably only one scooter per gondola. I have not seen anywhere how many guests will fit in each gondoloa. Have you heard anything about their capacity? Also, will they have small seats or benches along the edge or will it be standing room only? I was hoping these would be up and running for our next visit in 3 months, but I guess we will have to wait until our trip next year to check them out. I have heard there are benches that will seat 8 people. Not sure how many people would fit when standing, but that could possibly double the capacity. 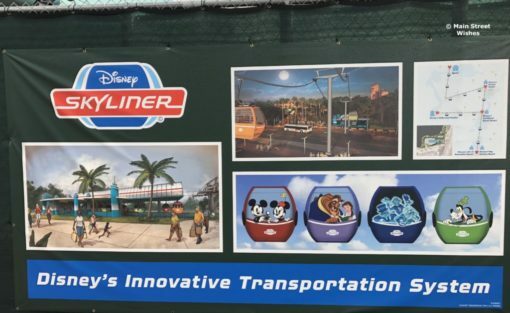 Will guests be able travel between Epcot and Hollywood Studios on the Skyliner? I believe there will be a couple of different routes. For those traveling to Hollywood Studios it looks like they will have to transfer at the Caribbean Beach station, which is going to be the hub for the whole Disney Skyliner system.